Schools are getting hit hard with funding cuts these days. Unfortunately many of the programs that are getting cut are those fine art programs such as music and art. This is the areas where shy students or student who may not excel academically can build some confidence. It is where young students can build up their fine motor skills that are important in order to form letters correctly on paper. Art sparks creativity and has been shown to boost improvement in other academic areas. It is something that we should be funding, not cutting. Purchasing art supplies can get expensive. Most of the supplies you need are consumable and need to be replaced every year. While there are some things that are sent in from home from a supply list, I spend a lot of personal money in my classroom. I would imagine that it is over $500 every year that comes out of my pocket. Recently I was introduced to Blick Art Room Aid. Blick Art Materials, Art Room Aid is helping teachers across the country enlist the aid of parents, families, friends, and other art advocates to fund their art projects. . Teachers post a project that they would like to have funded, and willing donors visit the Art Room Aid website and help the teacher raise the funds for his/her project. This is a place where I feature some of my students’ best work. I like to showcase something from each child at least once a quarter. They feel so special when they see their work up on the wall. It is a great motivator when I say that I am looking for Personal Best work. 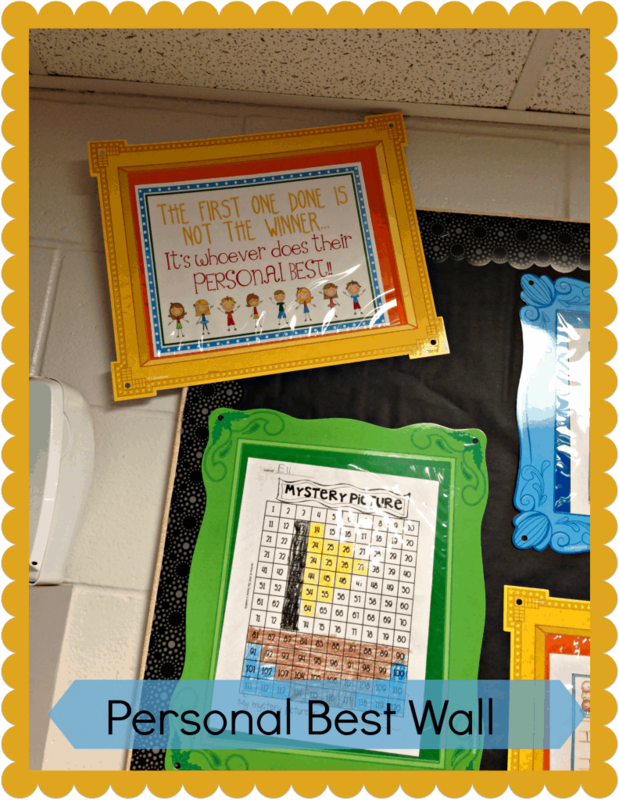 I wanted to expand on this idea and bring the confidence home with my students by making Personal Best Frames that they can display their best work in at home. 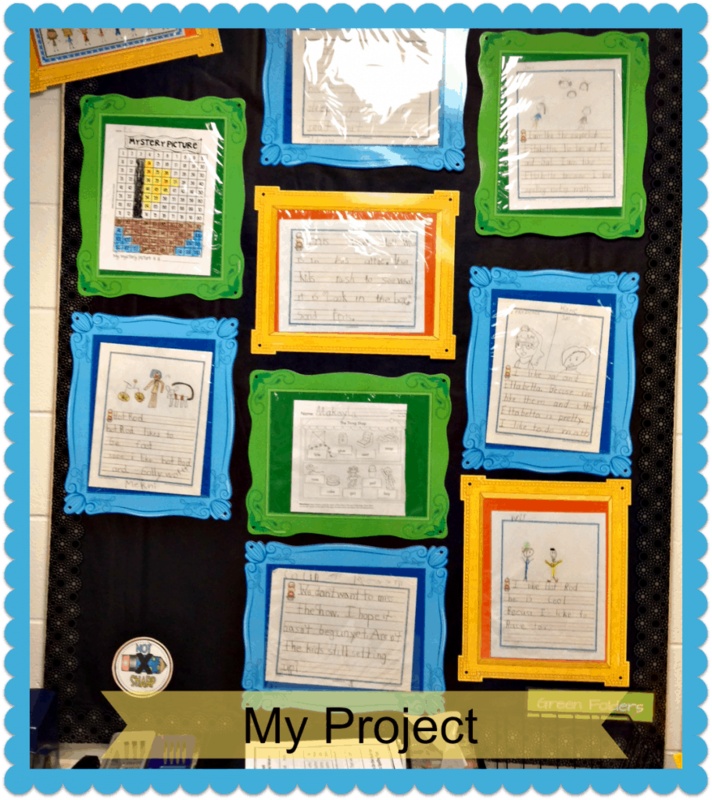 I would use them in my classroom all year and then at the end of the school year they would pick their favorite piece of work from their first grade portfolios to take home in their frames. You can donate by visiting the Art Room Aid website here. The money that I would be raising would purchase real wood frames for my students to paint to showcase their work. I plan to have this hang in a display outside my room with their personal best work in it throughout the year. At the end of school, they will have a wonderful keepsake to remember their first grade year! I know that parents would also love to keep these for memory purposes. I don’t think I would be able to create this project without the help of donors. If you would like to help keep our students creativity blooming by donating to my project or one that is local to you please visit www.dickblick.com/ara. I know a bunch of teachers who would be very grateful for the help! This is a sponsored post for Blick Art Room Aid and The Motherhood . All opinions are my own. These are actual pictures from my first grade classroom! This is a wonderful idea! I just made a small donation–I wish it were more. As luck would have it, I am a former teacher, who spent a lot of my own money for my classrooms. I don’t think everyone understands this about teachers. And in an even stranger bit of luck, my son and his family will be moving to Indianapolis in June, and my littlest grand-daughter will be in first grade! I don’t know yet where they will live. My son will be doing his residency at a university hospital downtown. My DIL will be doing concert piano at another university there. None of us have ever lived there–they have only visited once to start looking at neighborhoods–so it will be an adventure. I think it’s sad art is being taken away from a lot of schools. I love the Personal Best wall you made. 🙂 My friend is an art teacher and she’s always spending her own money on supplies for her classroom. I was shocked when I found out she was doing that and even more shocked to find out that it’s a common thing. I would have failed miserably in school if not for art. I’m glad there are programs around that are helping keep art in our schools. Wow, this is great information. Thanx for sharing. What a great way to help out, since art supplies get expensive fast! I love your idea and I have to say I think I have always been a bit of an artist at heart. I like the Personal Best wall. My kids race to be first. That’s a cool infographic too!